The slogan for Dental Health Week 2018 says it all. Don’t focus on just your teeth or gums, but try to take better care of your whole mouth in general. That might sound obvious but Dental Health Week 2018 is going back to basics this year, due in part to the publication of the 2018 National Oral Health Report in March. This report, which you can read more about in our May blog post, revealed a lot of disappointing statistics regarding the oral health and habits of everyday Australians. For example, only 50% of Australians brush their teeth twice a day, while nearly 40% never floss or clean in-between their teeth! Brush your teeth twice daily, morning and night, with a fluoride toothpaste. Clean in-between your teeth once daily with floss or an interdental brush. Eat and drink a healthy diet, and limit your sugar intake to less than 10% of your total energy intake. The WHO sugar recommendation for adults and active children aged 2-18 is no more than 6 teaspoons per day. To put that amount into perspective, one can of soft drink contains about 7 teaspoons of sugar! Visit your dentist regularly for check-ups and preventative treatment, such as scale & cleans. Dental Health Week is a time to reflect on what we have been doing, or not doing, to maintain the oral health of ourselves and our loved ones. It also gives us a fresh opportunity to renew and focus better on our oral health goals, and those of the children we teach and care for. Visit dentalhealthweek.com.au for more oral health information, activities and educational resources for kids and students. Lastly, have a great Dental Health Week from the TC Dental team! A national oral health report card published in March, 2018 has revealed some sobering statistics regarding the oral health of Australians adults. Australia’s Adult Oral Health Tracker is a joint initiative of the Aust. Dental Association (ADA) and the Aust. Health Policy Collaboration (AHPC). The report aims to track the progress of preventable oral diseases along with their risk factors and negative oral health outcomes. The report will be published on a regular basis, in order to monitor the progress of oral health targets – set for all Australians to achieve by 2025. The most common chronic disease in Australia is tooth decay. This includes all oral and general health diseases. Currently 90.1% of Australians have experienced or are experiencing tooth decay in their permanent teeth. A lot of Australians are not having their tooth decay treated by a dentist. The latest data reveals that 25.5% of us are living with untreated tooth decay. This can lead to oral health complications such as cavities, gum disease and tooth loss. 19.8 % of adults aged over 15, have periodontal pockets greater than 4mm in width. Periodontal pockets are deep spaces between your teeth and gums that contain plaque and oral bacteria. 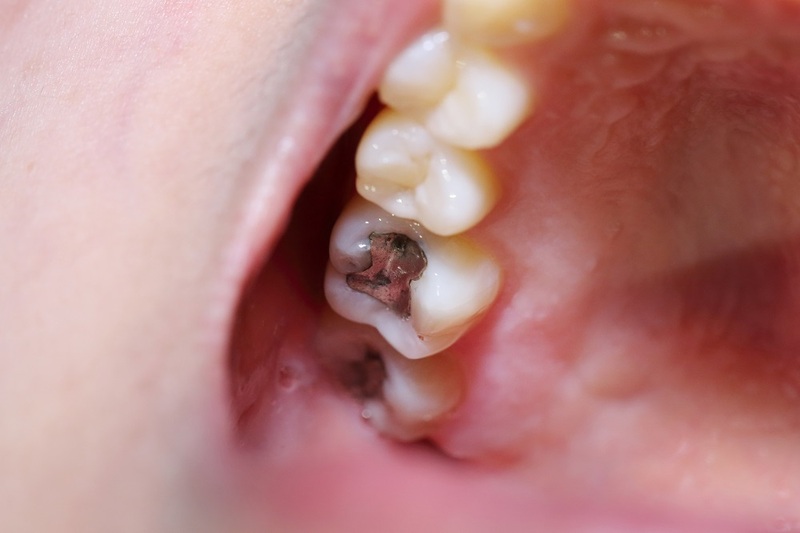 As these pockets develop, your gums start to pull away and detach from your teeth irreversibly, leading to receding gums and potential tooth loss. If you have periodontal pockets, then you probably have gum disease (periodontitis). Australians aren’t brushing their teeth enough. Half of all Australian adults do not brush their teeth twice a day as recommended. Over a 24 hour period, the development of plaque and tooth decay can progress significantly. 52.2% of Australian adults are consuming too much sugar. Furthermore, approximately 75% of children consume excess sugar. 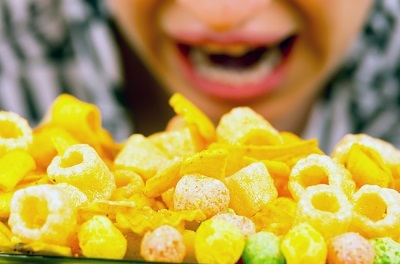 Excess sugar intake is a major risk factor for tooth decay and erosion, not to mention cardiovascular disease, diabetes, obesity and non-alcoholic fatty liver disease (NAFLD). Poor childhood oral health is a high risk factor for poor oral health outcomes in adults. Over 22,000 Australian children aged less than 9 years old were hospitalised for oral health problems. All of these cases could have been prevented through proper oral care and hygiene, and access to free dental services via the Children Dental Benefit Schedule (CDBS). Despite the current challenges, the best way to move forward is to improve action that can prevent poor oral health in Australia. Individuals, parents, families, communities, health professionals and government will need to play a part to ensure the oral health of all Australians in the future. Inlays and onlays are dental treatments for teeth that are moderately decayed, damaged, chipped or cracked. 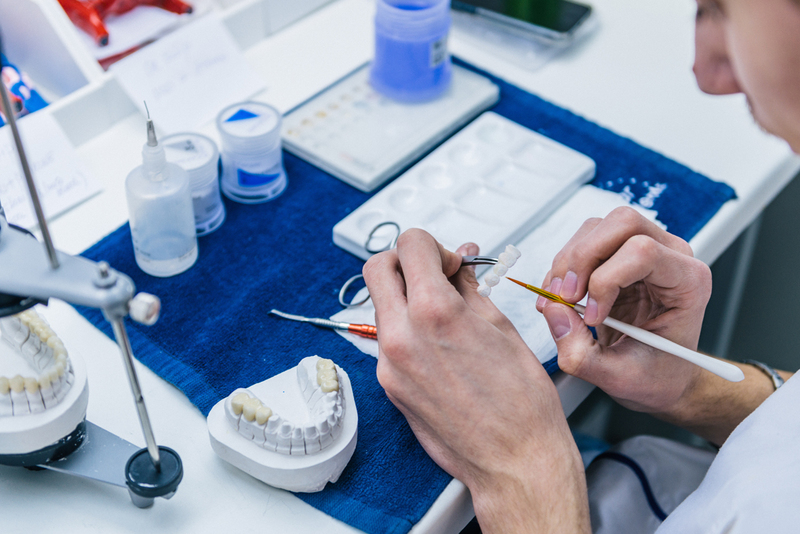 Unlike fillings, which are molded into a cavity, inlays and onlays are prosthetic partial teeth that are fabricated in a dental lab to fit precisely into the space left by the missing portion of the tooth. Inlays and onlays – What’s the difference? They are very similar but each has a specific purpose. Inlays are designed to fit where traditional fillings usually go – the space within the cusps of a tooth. If one or more of the cusps are damaged or missing, then an onlay is more suitable. Onlays are a little bigger and cover more of your tooth’s surface. They can fit within and over any outer cusps that have broken off as a result of damage or decay. Why are inlays and onlays considered to be a conservative alternative to tooth restoration? They only restore the part of a tooth that is actually damaged. 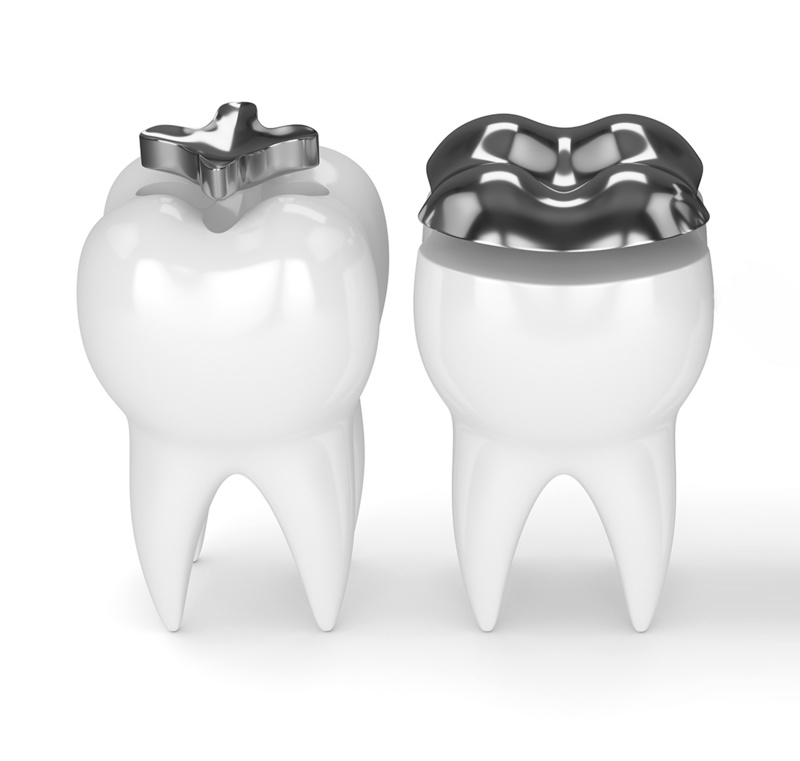 If you were to opt for a full-coverage crown to restore the same tooth, more invasive procedures are needed to prepare the tooth for a crown. That means you may sacrifice perfectly healthy tooth structure to accommodate the crown. So in that sense, inlay and onlay treatment is a conservative approach, since it preserves as much of your natural tooth structure as possible during prep. What are the benefits of inlays/onlays? If you have a tooth that is decayed and damaged, inlays and onlays may be the perfect solution. Call us on 07 3349 9334 to schedule a visit before your tooth gets damaged any further! Invisalign® is a clear and removable alternative to braces that can help adults, teens and kids to transform their smiles – while maintaining good oral health and an active lifestyle at the same time. With Invisalign® clear aligners, you have the freedom to take out your aligners for eating, cleaning your teeth and attending special occasions. When you’re done, you just pop them back in. At any other time, when you are wearing Invisalign® “crystal clear” aligners, most people won’t even notice because they are almost invisible! You won’t even notice that you are wearing them because Invisalign clear aligners straighten your teeth without any irritation or discomfort. Getting your teeth aligned correctly with Invisalign is a proven way to improve your smile and confidence. But did you know that there are important oral health benefits from straightening your teeth? The most common oral health reason to straighten misaligned teeth is to correct a “bad bite”. Crooked or crowded teeth can cause chewing and digestive problems, headaches, chronic pain and TMD (temporomandibular disorder). Invisalign® is suitable for most cases of teeth misalignment. In cases of more complex teeth-straightening issues, such as large gaps and rotated teeth, you may be referred to an orthodontist. However, research has shown that up to 80% of all adults are suitable candidates for using aligners. If you are planning to have veneers, then straightening your teeth first can contribute to a better result. The aligners move your teeth into their ideal positions before veneers are applied. This means that there is minimal veneer preparation involved, and less weakening of your teeth in the process. For a big, beautiful smile, Invisalign® invisible aligners do all the work for you – without you or anyone else noticing. Invisalign® patients experience better periodontal health, comfort, convenience and satisfaction during treatment compared to fixed wired braces. Christmas is almost upon us again, and Australian kids and adults are experts at Christmas snacking over the holiday period. Chocolate, cake, chips, Xmas pudding, custard, endless bowls of sweets – you name it, we munch it. We feast like kings and queens – but for our teeth and gums, it is an entirely different experience. In fact, for them, the holiday period is more like holiday hell. 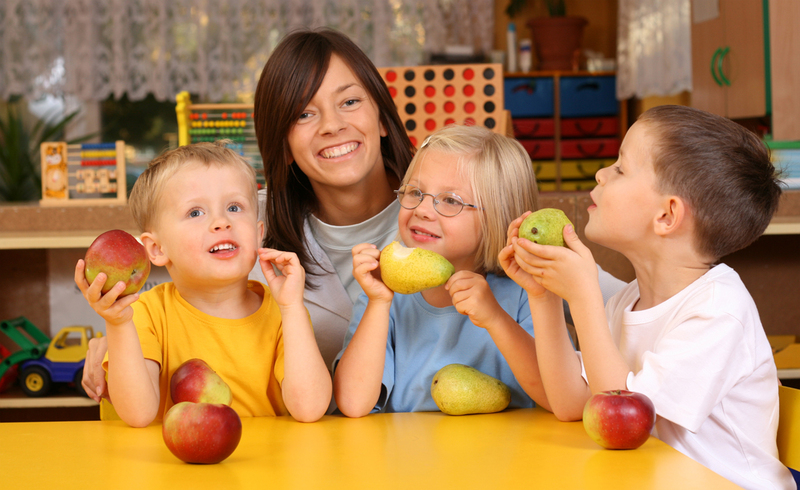 There are heaps of healthy foods that are beneficial to our oral health. Unfortunately, a lot of traditional Christmas snacks and beverages don’t fit into this category. As it happens, they are the reason why the Xmas/New Year holiday period is probably the worst time of the year for our teeth. Snacks that are high in refined carbohydrates and sugar, such as iced donuts, fruit mince pies and cakes, are the perfect food supply for billions of pathogenic oral bacteria in our mouths. And the more snacks we consume, the more food residue builds up on our teeth. It’s when we take a break from snacking to watch TV that the fun really starts. That’s because it’s low tide, and the oral bacteria can feast on the food residue trapped in the nooks and crannies of our teeth – and start reproducing very quickly. In just a few hours, the entire population of bacterial microbes on your teeth, tongue and cheeks can double in number, forming huge bacterial plaque colonies. If these bacteria are left undisturbed for 24 hours because you forgot to brush and floss your teeth – then you’ve got a bacteria population explosion. You can even see it growing on your teeth in the mirror. It’s that whitish sticky fuzz – on your teeth, close to your gum line – that you can remove with your fingernail. It looks innocuous enough, when actually it’s a thriving plaque colony of living – and reproducing – microorganisms. The main waste product of these developing plaque colonies is acid. Not just any acid, but a potent compound lactic acid that aggressively demineralises tooth enamel. It can start leeching out calcium from your tooth enamel within minutes – causing loss of enamel, tooth decay and cavity formation. To make matters worse, it can take up to two hours for your saliva to neutralise this harmful acid because it is beneath dental plaque. The plaque acts as a protective cover preventing the bacterial acid from being diluted or washed away by saliva, food and beverages. The only way to remove plaque is by brushing and flossing. For ultra-clean teeth, visit your dentist for a professional scale and clean. Don’t graze on snacks or sip on sugary drinks. Consume in a timely fashion. Minimise the time sugars are present in your mouth. (E.g. avoid sucking lollies). Don’t forget your daily brush and floss routine. Look out for plaque build-ups. Keep your teeth clean and fresh, and stay hydrated when you are not eating. Don’t savour that lingering food-flavour after-taste. That’s actually the taste of trapped food residue on your teeth and tongue. At the very least, rinse your mouth with water to wash away food residue after snacking. Tooth picks and sugar-free gum can also assist. Moderation is key – eat when you are hungry. Avoid binge eating snack foods or sipping large quantities of sugary soft drinks. Try to make healthier food choices for snacks. Eat healthy for a healthy mouth this Xmas! 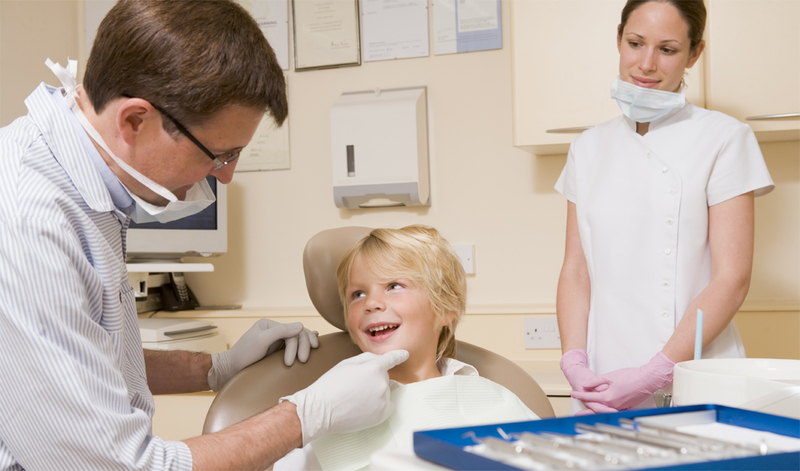 If your child suffers a dental injury – it is a dental emergency. The causes of these teeth injuries range from falling over to accidents while playing sports. They can also occur when biting something hard. All of these types of teeth injuries require prompt dental attention and treatment. Soft tissue trauma to your child’s mouth, gums or cheek may also need to be assessed and treated by a dentist. 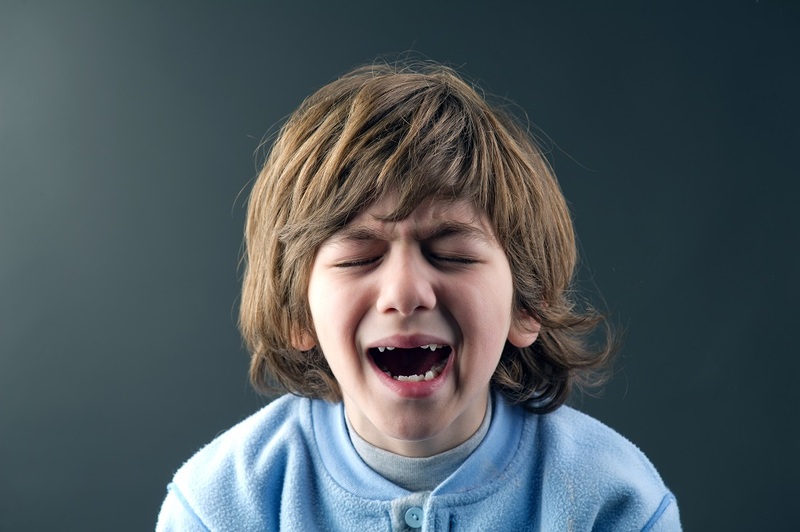 In the case of a knocked-out tooth, take your child to your nearest dentist immediately. You can locate your nearest dentist by using the locator in the National Health Services Directory website. Your child’s tooth has the best chance of survival if a dentist can replant and stabilise it – within 30 minutes of being knocked out. It is also important to remain calm and act quickly, when your child or student experiences a tooth injury. Before jumping in the car, call the dentist for specific advice on how to handle your child’s dental emergency, if possible. There are steps you can take, that can influence the successful outcome of dental treatment and recovery. If you have access to basic first aid supplies, you can also take immediate action to relieve your child of pain and discomfort, as well as to reduce any swelling or bleeding. Locate the tooth, and handle it carefully by the crown to avoid further injury to the root. Rinse the tooth gently in clean water, without drying. Reinsert the tooth carefully into its socket. Instruct your child to keep their mouth closed and bite gently (or use a clean finger) to hold the tooth in place. If the tooth cannot be replanted, keep it moist. Do not allow it to dry out. You can store it in a sealed cup of milk, or instruct your child to keep the tooth between their gums and cheek – without swallowing it. See a dentist within 30 minutes if possible, though a tooth can be saved after an hour or more. Collect all pieces of broken teeth. Instruct your child to rinse their mouth with clean, warm water. Call your dentist to schedule a visit, as soon as possible. To stop bleeding, give your child a folded piece of cold, moist gauze. Instruct them to bite down gently on the gauze. To reduce swelling, apply an ice pack to the affected cheek. Administer a suitable dose of pain medication, such as Ibuprofen, if necessary. Monitor your child for signs and symptoms of further swelling, increase of pain, fever and changes in tooth colour. With the right emergency action, you can ensure the best outcome – when your child experiences a dental injury. Daffodil Day will be held this year on Friday, 26 August. It is a day for all of us to show our support for people in our community who have been personally affected by cancer. Over 2.8 million Australians have been diagnosed with cancer since 1986, when the first Daffodil Day event was held. There are many different types of cancer which can affect all parts of your body. Oral cancer accounts for between 3 to 4 percent of all cancers that are diagnosed. On average, 7 new cases of oral cancer are diagnosed in Australia each day. 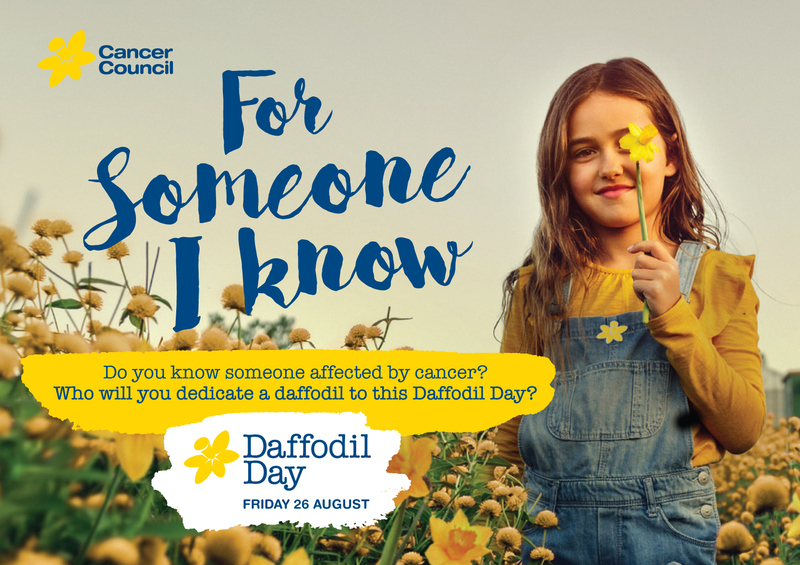 In 2016, Cancer Council are calling on all Australians to contribute on Daffodil Day to help fund cancer research, prevention programs and patient support services for people impacted by cancer. For this year’s event, organisers are calling on Australians to dedicate a daffodil to a loved one. Cancer Council Australia CEO, Prof. Sanchia Aranda, hopes this dedication can provide a more personal way for Australians to reflect on and support Daffodil Day. She would like all of us to recognise the everyday Australians that give the event its meaning. Specially selected dedications will be on display at bright yellow pop-up stands across the country on Friday. You can dedicate a fresh daffodil or wear a pin for someone you care about. But just in case you can’t drop by, you can still help – on your smart phone. We can all wear a Daffodil pin to honour someone who has been affected by cancer, and to show we care. To show your support, simply click the link below, or pop into our clinic on Friday with a gold coin donation for a fresh daffodil. Happy Daffodil Day from the team at TC Dental Group! When Invisalign clear aligners first came on the market in 1999, they offered an alternative to traditional metal braces. They were hailed as a big advance in modern dental orthodontics. To this day, Invisalign continues to grow in popularity all over the world. Independent academic research has proven the benefits of Invisalign- for a patient’s emotional and physical well-being during teeth-straightening treatment. Looks better – Invisalign aligners are transparent and discreet. Patients are less self-conscious when wearing them. Prevents plaque and oral infection – Invisalign aligners are removable. This makes normal oral care (incl. brushing and flossing) far easier and more effective than cleaning teeth while wearing fixed metal braces. Gentler on your teeth roots – Invisalign treatment realigns your teeth roots with less torque than metal braces. This gradual shift causes less damage to your teeth root structures (Resorption), which means stronger teeth. More comfortable to wear – Invisalign aligners are changed fortnightly so each alignment step is more gradual and less painful than traditional braces. There are also no metal wires or brackets poking and pressing against the inside of your mouth. Invisalign aligners are strong and flexible, causing less cheek and gum irritation. Comparable in price to braces – Treatment costs can vary, depending on individual needs. Your Invisalign provider, government tax rebates and health fund membership may largely offset treatment costs also. Utilises 3D scanning and imaging – Before your aligner trays are fabricated, your dentist can manipulate your “virtual” teeth on a computer and show you a preview of the final results. No surprises! The benefits of Invisalign are clear. But they aren’t suitable for everyone. Before deciding on Invisalign as a treatment, you will need to consult your dentist to determine if you can benefit from Invisalign treatment. Maintaining treatment requirements – Removing your Invisalign aligners for eating and tooth brushing is a plus. But forgetting to re-insert your aligner trays, and not clocking up the requirement of wearing them 22 hrs per day, can result in treatment failure. Using Invisalign aligners requires self-discipline. Cleaning – Not only do you have to brush and floss your teeth, you have to clean your aligners also. Otherwise, the oral health benefits of Invisalign are compromised. Not suitable for all orthodontic conditions – Invisalign can’t treat all cases of malocclusion. Specialised orthodontic braces may be required for overbites, cross-bites, severe crowding of teeth, rotated teeth, single tooth adjustments and shifting teeth vertically. 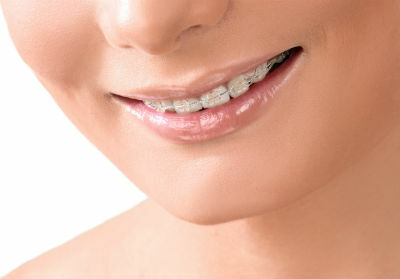 Treatment times may be longer – Traditional braces can be a faster treatment. But when your teeth are being repositioned permanently, it pays to adjust them more gradually, to prevent tooth and root resorption. So, there are quite a few factors to consider, if you’re comparing Invisalign with other teeth-straightening treatments. To make an informed decision, we can help you. Just book a consultation with one of our dentists at either of our TC Dental clinics in Mt. Gravatt or Annerley. We are certified Invisalign providers. For any questions, please call us on 07 3848 1574 or 07 3349 9334.